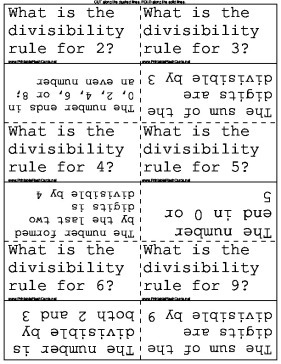 These flashcards cover the rules governing divisibility of numbers. These cards will help you figure out what numbers can be divided by what numbers. What should you do if you can't remember the divisibility rule? Try division, does it divide evenly?